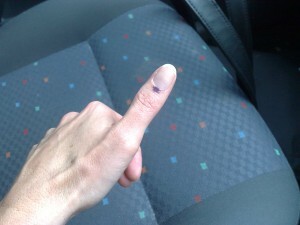 I voted yesterday, along with a few million other South Africans. ‘Twas the first time I’ve gone off to stand in the voting queue all by myself … felt a little strange. But I charged up my iPod before I left and spent the time listening to my current favourite album, Only By the Night (Kings of Leon). Forgot to take something to drink though, which wasn’t clever. It’s done. The votes are being counted as I write this. I’m not really optimistic about anything changing on the political front in our country. For the better that is. If you want to follow the election results as they unfold, visit News24 for up-to-date coverage. We voted too, and our queue was quite entertaining! Sheesh, I had a young chap behind me who decided to use the hour to catch up on all his phone calls. LOUDLY. 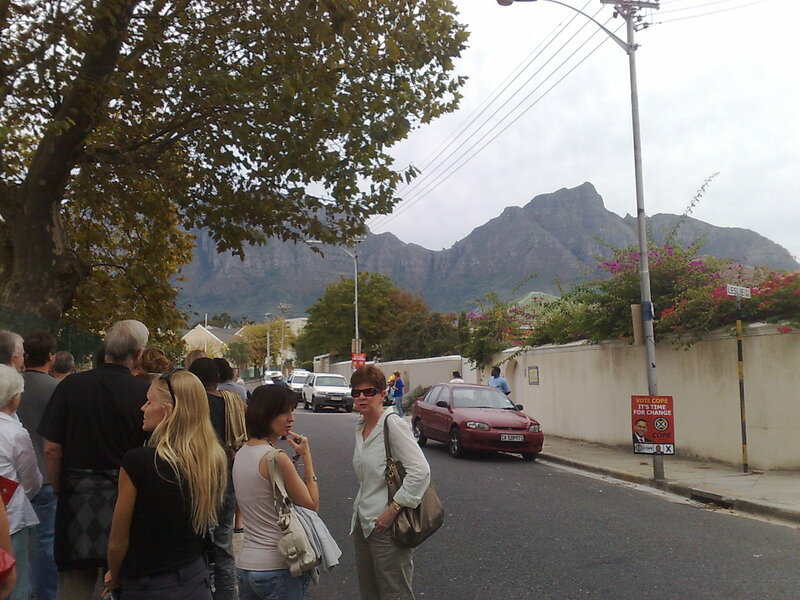 Damn, it was annoying – I think the whole queue got to hear EVERYTHING! Luckily I had my iPod with me so I could sorta tune most of his conversations out.